Not a week goes by without a customer coming in to one of our stores to ask about buying or building a road racing car. Most people seem to know what they want, others want some guidance. The former outnumber the latter, though on average both groups seem equally confused about their goals and how to achieve them. One area of general confusion seems to stem from an understandable source: new racers often come to racing from street car or HPDE experience. 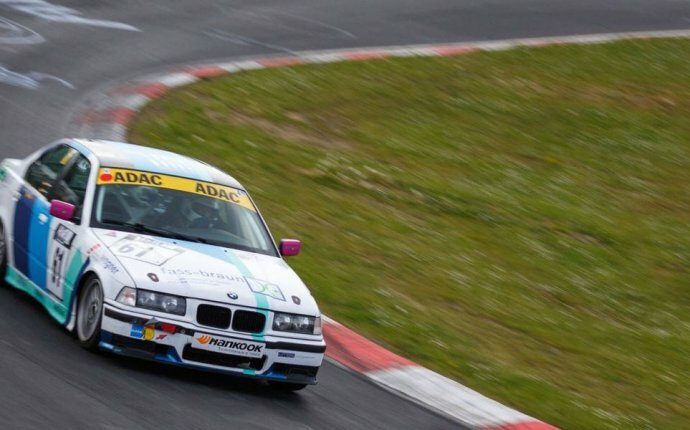 With those disciplines, where on-the-limit driving is rare and wheel-wheel competition is essentially nonexistent, the car matters a lot to the excitement on offer. Not only that, but more power is the easiest, clearest path to more excitement, because the dramas of threshold braking and cornering and passing are removed from the equation. The problem is that this street car recipe for fun has almost nothing to do with what is important in wheel-wheel road racing. Wheel-wheel racing generates excitement in an entirely different way than street driving or track days: via the skills required to compete. We often suggest that new wheel-wheel racers consider Spec Miata. So do many pros and coaches we work with. The new drivers usually listen dutifully, but from the perspective of the street car driver, SM generally doesn't make sense. In a conversation it is hard to cover the full breadth of what makes SM such a good class, so we thought we'd write down our top 10 reasons SM is the best racing class in case a few folks pondering which class to start in are wondering what the fuss is about. 1. Spec Miata can be run competitively in the largest number of racing events (NASA, SCCA and, with the right car, SVRA). 2. Spec Miata is pretty darn affordable as racing goes. No racing is inexpensive, but SM is toward the inexpensive end of the spectrum because the cars are reliable, the parts are pretty cheap and the consumables are relatively affordable. 3. There is a huge market of Spec Miata cars for sale. It is easy to get a car and used cars are pretty inexpensive (k and up). A new championship-capable car is under k from competent builders. 4. The field in Spec Miata is reliably the largest on any given amateur weekend, and typically is over 20 cars. This means you will have a variety of driver skill levels represented and therefore as a novice and intermediate will almost certainly have someone to race against directly. 5. The competitor skills at the front of the pack are very high. This means you have a way to benchmark yourself that won't lull you into a false sense of security (making you think you are better than you are). 6. SM doesn't offer much opportunity to win with money. Even if someone could figure out how to spend $80k on a Spec Miata, which we doubt, a better driver with a $40k car would usually win. 7. To be fast in Spec Miata, you have to develop skills that transfer well to other classes. No class offers everything, of course (e.g. a non-aero car won't teach you aero brake modulation). But SM teaches you a lot about corner entry and car control and passing skills and starts and running in tight packs. That stuff is useful in every class. 8. The Spec Miata is a relatively stable car (especially NB generation cars), so it builds confidence around the limit. A key task in road racing is to be able to run at the limit, so a car that wants to bite you is either scary or wrecked, and thus not very helpful early on. 9. 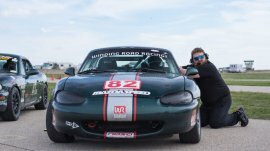 Spec Miatas are reliable as far as race cars go, which leads to more seat time. Seat time is critical for learning. This seat time benefit is compounded because you can generally race your Spec Miata in two classes, giving you up to 6 races in a weekend. 10. Spec Miatas are the best supported cars in the country. Arrive and drive services? Easy. Spare parts? Easy. Tips on setup? Easy. Someone to build a car? Easy. SM to rent at a distant track? Easy. 11. The Spec Miata community in the paddock is great. We can say this about some other classes, but simply because of the size of the SM field, you're bound to find some folks to hang out with who you find fun. If you use arrive and drive services, you instantly end up with 4-8 drivers on your "team" which is more than in most classes. And, as in much of racing, the drivers and mechanics are very friendly. 12. Spec Miatas are slow. This means you can drive them well into your career (into your 70s or 80s). Don't try that, if you want to be competitive, in your DP02 (Scott Pruett and Jack Baldwin excepted).